With the Romantica fragrance from September 2015, Anna Sui painted a romantic and cheerful display of a garden in full bloom. The new edition Romantica Exotica has the American-Chinese designer evoking a tropical island full of exotic fruits and her dream of romance, freedom and happiness. The new fragrance comes out in summer of 2016, inspired by her holiday in Tahiti. The composition is created by perfumer Jerome Epinette from Robertet. Fresh top notes of lemon, grapefruit and blackcurrant give an exotic fruit impression. The floral heart develops with jasmine, lotus and neroli. Sandalwood, gardenia and cottonwood remain in the base. 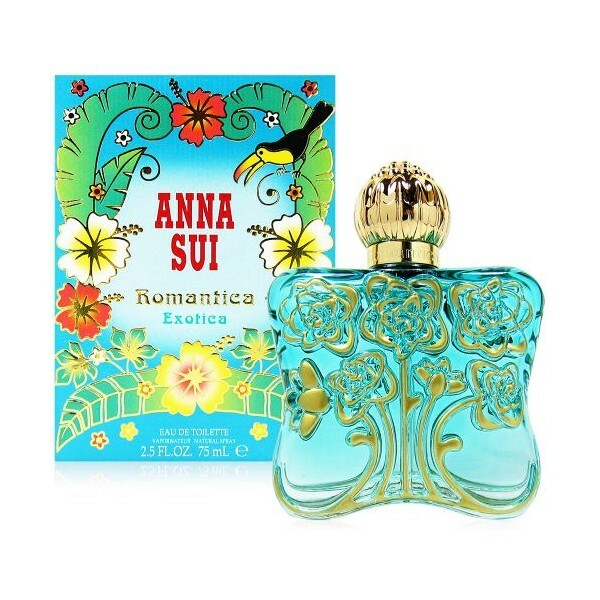 Beli parfum original Anna Sui Romantica Exotica for women sekarang, harga termurah di Indonesia!! Nikmati promo dan penawaran eklusif parfum original Anna Sui hanya di bakul parfum.